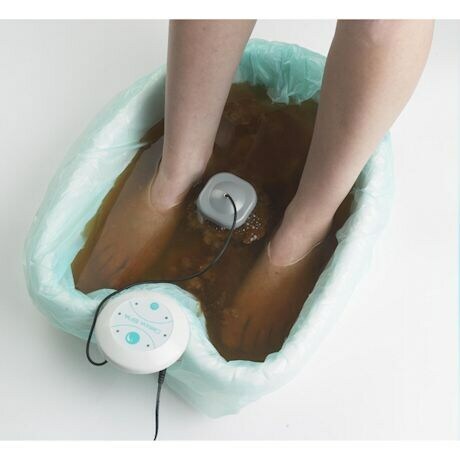 Soothe your feet while soaking away harmful toxins with the BioEnergiser Detox Foot Spa. Its BioEnergy technology gently stimulates your body's natural detox processes to leave you feeling mentally and physically renewed. This is the same technology that you'll pay up to $40 for at a spa. Just fill with warm water, add the low sodium detoxifying salt, and turn it on for a relaxing, but revitalizing 30-minute detox session. The ionic reaction will actually darken the water as your body's natural detoxification process is kick-started and harmful toxins soak out through the 2,000 pores in your feet. 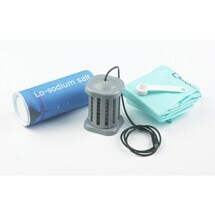 Complete system includes supplies for 30 treatments (salt, cartridge, and tub liners), an instructional DVD. Refill kits available. 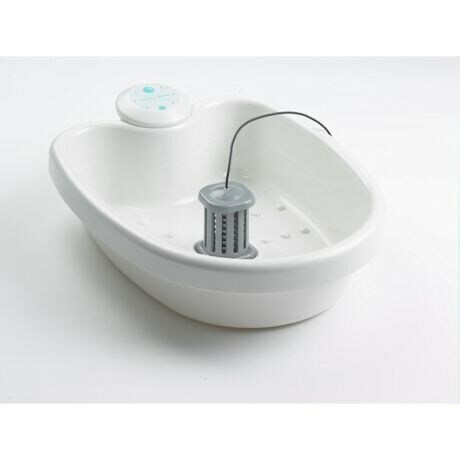 BioEnergiser Detox Foot Spa Basin measures 19" x 15 1/2" x 4 3/4". Not for use by those with a pacemaker, during the first trimester of pregnancy, users with metal implants, epileptics, or children under 5.